South Korea’s major lender Shinhan Bank sold $400 million in 10-year subordinated bonds to raise long-term funding for corporate commitments to sustainable growth and eco-friendly business. The U.S. dollar-denominated bond was issued at a coupon rate of 4 percent, 157.5 basis points above the 10-year U.S. treasury yield, the bank said Tuesday. The spread was also the narrowest among the subordinated capital securities issued in Korea as the offering drew $2 billion from 100 institutional investors. About half of the investment came from Asia, 33 percent from America, and 17 percent from Europe. 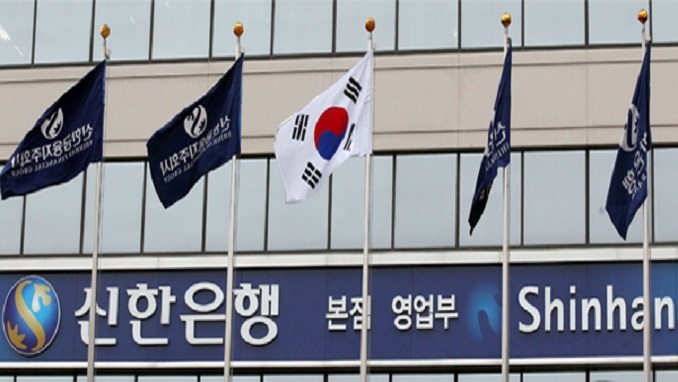 Shinhan Bank said it is the only issuer in Asia who has been able to sell subordinated bonds four years in a row, which has helped to bolster its capital base against financial market volatility. The offering was co-led by Bank of America Merrill Lynch, BNP Paribas, Credit Agricole CIB, JP Morgan, and Mizuho Securities and assisted by Shinhan Investment Corp.
Shinhan Bank last year sold 200 billion won in three-year green bonds as the first commercial lender in the country to join the green theme pipeline. It will keep its commitment to corporate social responsibility, a company official said.